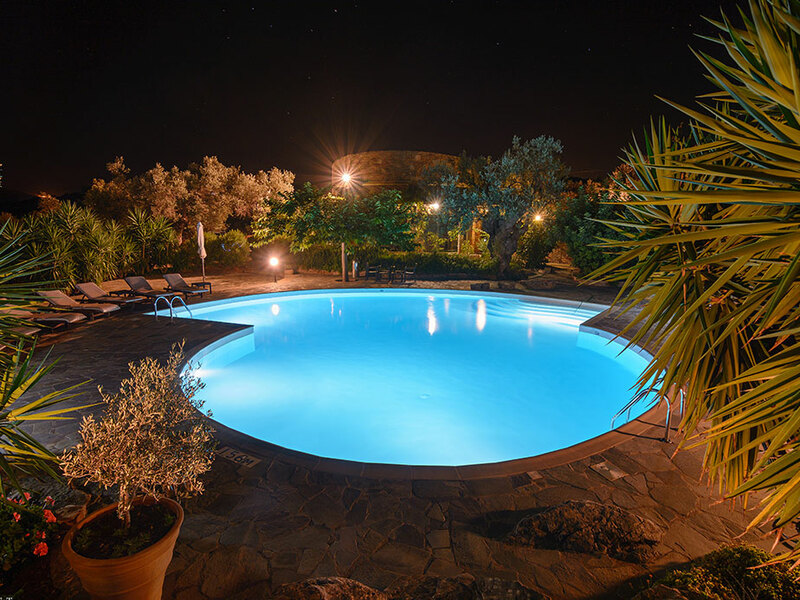 Zarka Villas’ main central structure is a large circular hall of 12 meters diameter. There are two changing rooms with toilet & shower. There are two additional toilets accessed from the outside of the hall, by the pool. The hall also features a full kitchen. With over a hundred square meters of floor space the hall can be used for activities such as weddings, seminars, meetings, lectures, dance, music, yoga and art classes. As the glass panels on the front all open, additional seating for larger events can be provided on the patio area surrounding the swimming pool. The design and construction of this building ensures that it is useable any time of year. 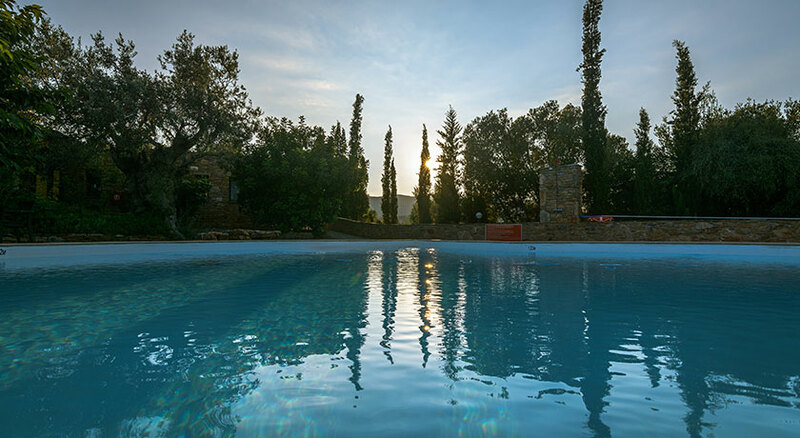 Set in an old olive grove on top of the hill, the hall is surrounded by landscaped gardens centered around the swimming pool and in-ground hot tub, which are built into an outcrop of natural rock. We provide limited Catering services on site, but can recommend several excellent Catering Services for large events. The Hall also features a 164 cm flat screen television, with DVD player & Stereo system. Table tennis & a dart board are also available for leisure purposes to guests staying at the Villas. For families or groups vacationing together, the Hall can be utilized for group meals or other events. We also provide mats for those who may wish to continue with their personal regimes of yoga, meditation or simple exercises, while vacationing at Zarka Villas. There are a growing number of people who, along with the usual attractions of a Mediterranean holiday – the warm climate, interesting cultural setting and pleasing local environment – are seeking to spend their free time in an outdoor, but active environment. 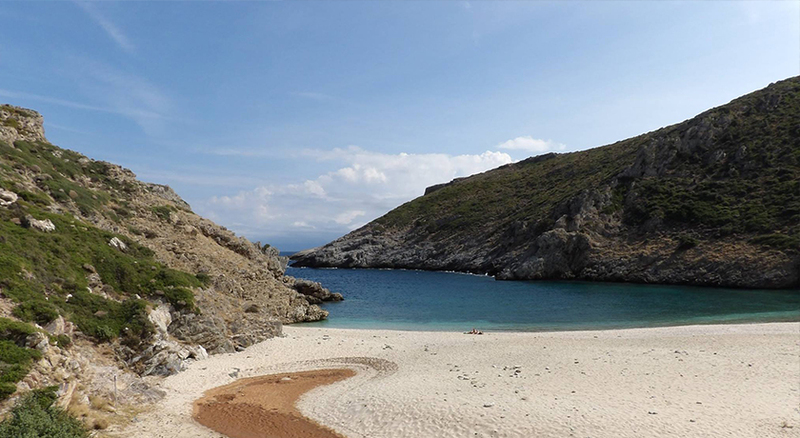 Southern Evia has a large number of walking trails, and many more trails are ideally suited for those that prefer the rigours of hiking. Biking is also a popular past-time here. While the main motorway is seldom busy and allows for quick and safer long distance rides, there are abundant side roads (primarily dirt/gravel roads) that you can take to discover the more hidden treasures of Evia. Naturally, the sea is seldom far away and water activities abound. Snorkeling can be done anywhere, but scuba diving is also available in several areas. Kayaking is a fantastic means of discovering gorgeous & secluded inlets and bays that are inaccessible by land. And let’s not forget historical sites. They may not be of the magnitude of the Acropolis, but Evia is rich in contributions to the history of Greece. On the edge of the village of Zarka (Zarakes to non-locals) is a quiet valley set amongst the rolling and sometimes dramatic landscape of the southern region of the Greek island of Evia (Euboea in Greek). The Villas are a family owned & run resort. Originally the dream of my cousin, it was partially completed in 2009, when he unfortunately passed away. The project has now been completed in 2014. Zarka Villas are situated at the edge of the old village (Mahala) of Zarka, a valley of abandoned houses – all traditional style with stone walls and stone tiled roofs – which were left to crumble and provide shelter to sheep and goats. Now many of the ruins with their small plots of land have been bought and restored to provide holiday homes. Some of the owners are British, some Athenians, and they have all rebuilt the houses, more or less, in the traditional style. The valley retains a remarkable peacefulness and a gentle pace of life that resonates with the tinkling of sheep bells and the rustling of leaves from the breezes. Running north to south it is sheltered from the mainly easterly Aegean winds. 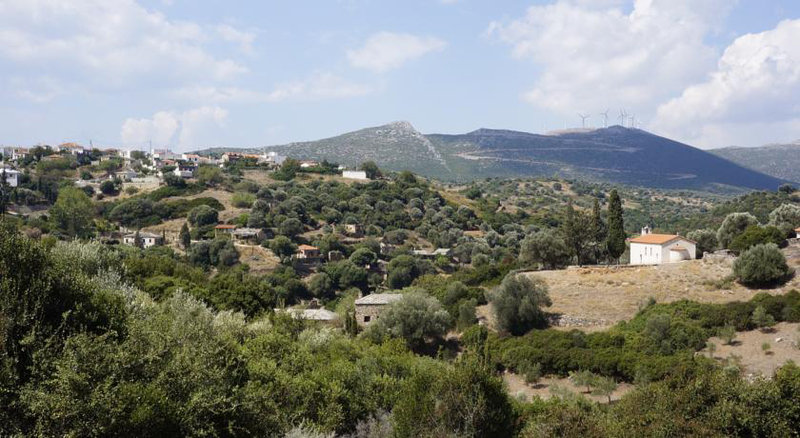 On the far side of the valley lies the new village of Zarka, a typical rural settlement consisting mainly of more recent homes, a small supermarket, a bakery, a pharmacy, butcher, post office, a cafe, a church and tavernas & bars. Administratively Zarka is part of the municipality of Dystos. 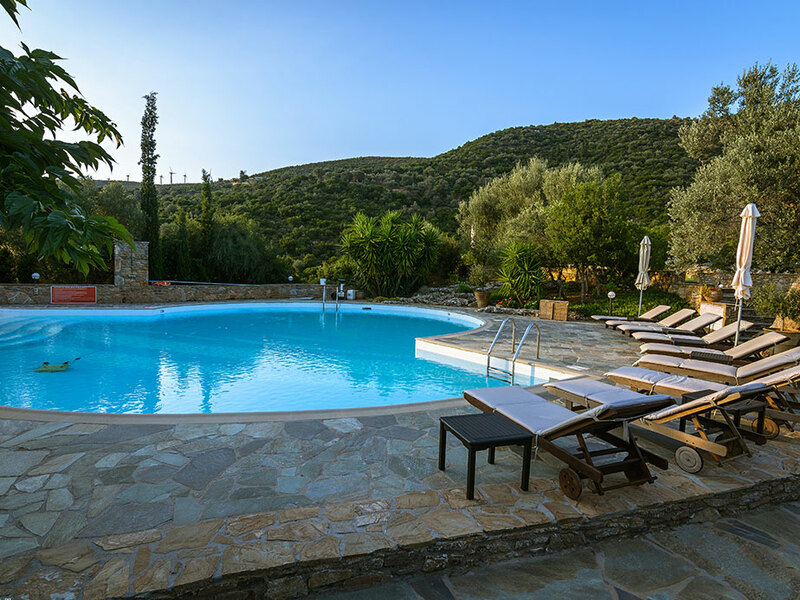 Zarka Villas is situated on nine acres of hillside olive grove, a restored traditional stone house, 2 newer stone villas, a large circular meeting hall and a delightful swimming pool & in-ground hot tub. 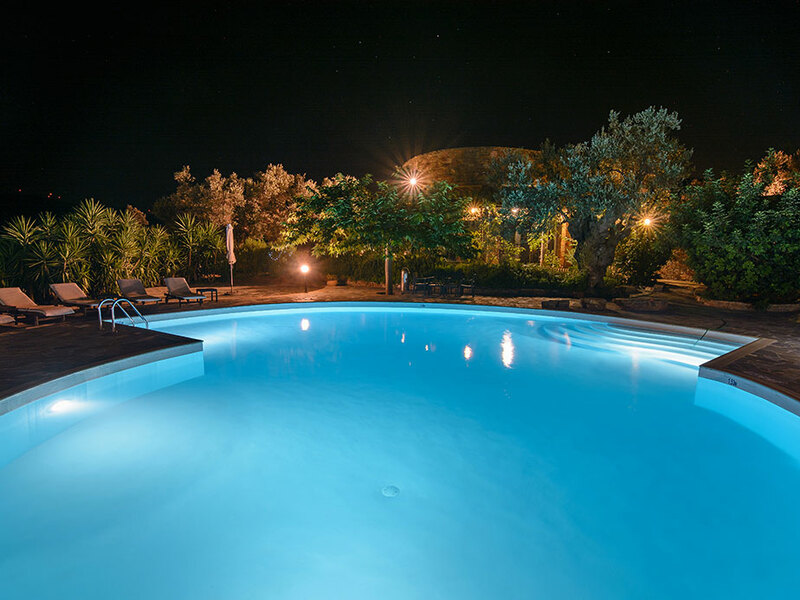 This gentle rural setting, offering all modern amenities, is the ideal location from which to explore the wonders of Southern Evia. The nearby towns of Styra, Aliveri, Karystos and Chalkida offer a wide variety of shopping opportunities, along with up-scale restaurants and night life. As they are all by the sea, stunning sunsets and other breath-taking views await you. Other than the more metropolitan centres, where credit/debit cards are accepted, other areas of Greece (and particularly Evia) are cash based. This includes petrol stations, tavernas, bars, restaurants and most shops & markets. Cash machines are readily available in the 4 towns mentioned above. In the 4 larger towns, English is understood in the majority of shops, restaurants & bars and elsewhere. It may be more difficult to converse in English in the smaller villages. 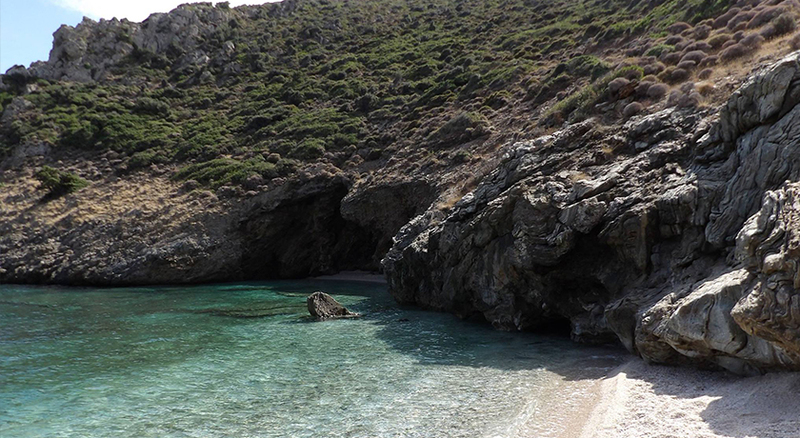 For those flying into Athens, we suggest arranging a car rental when visiting Evia. All the major rental companies are available at the airport. While taxi service is available thru-out the island, they are generally busy and a taxi may not be readily available. Zarka Villas is a “mobile phone” only resort. The Administrative land line is for emergencies only.